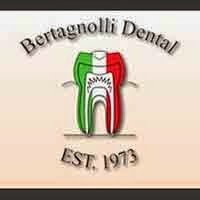 Dr. Bertagnolli at Bertagnolli Dental is an Invisalign dentist in Westminster. Cosmetic dentistry is just one of the many procedures offered for you and your family. If you are thinking about cosmetic dentistry, we offer Invisalign, a modern approach to straightening your teeth. Invisalign is especially great for adults because there are no metal braces. If your smile isn’t what you think it could be, cosmetic dentistry can improve not only your appearance but your self-image too. Wearing the aligners will gradually and gently shift your teeth into place and are a great way to achieve a beautiful smile. We focus on cosmetic dental procedures that restore your teeth to their natural beauty. Our staff offers the personalized attention and a full range of services using state of the art technology and techniques. We understand making a decision to have cosmetic dentistry is a big one. Call our office today when you are looking for an Invisalign dentist in Westminster.